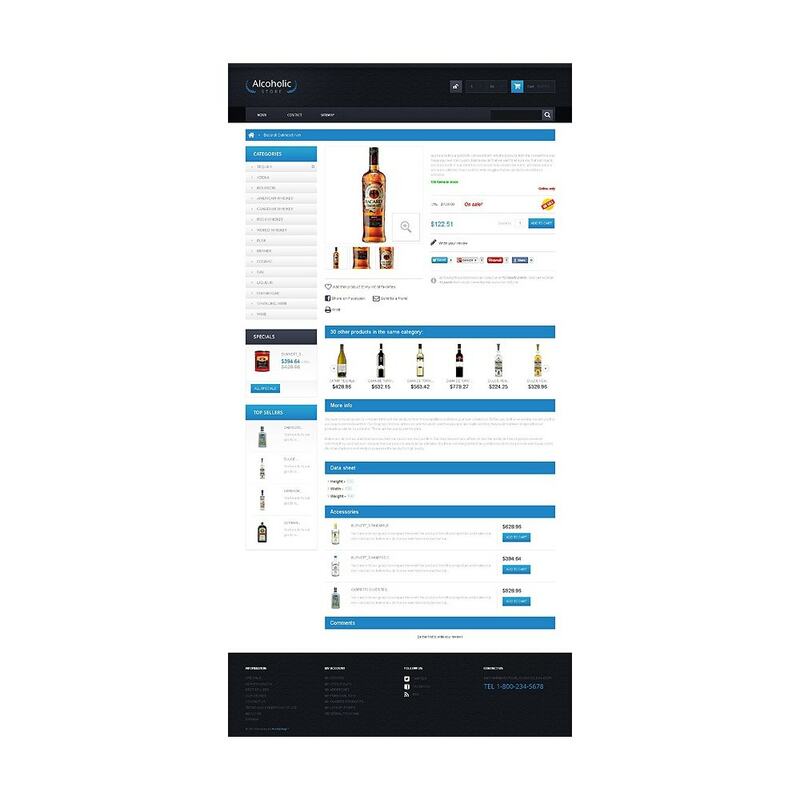 Dark slider advertizing elite alcoholic beverages looks very elegant. 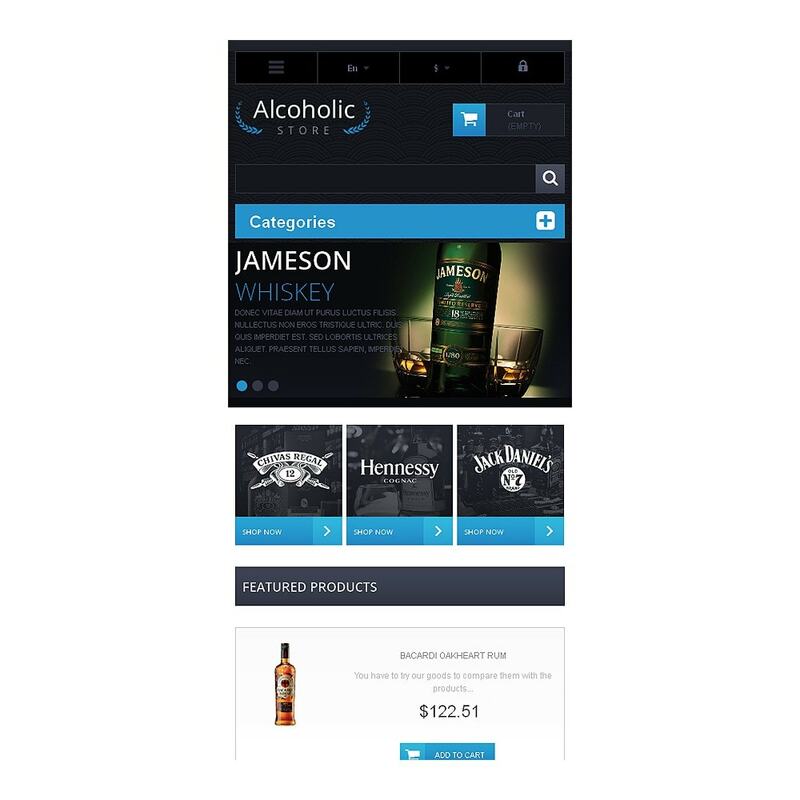 Banners at the top and bottom of the page make the navigation simple and intuitive. 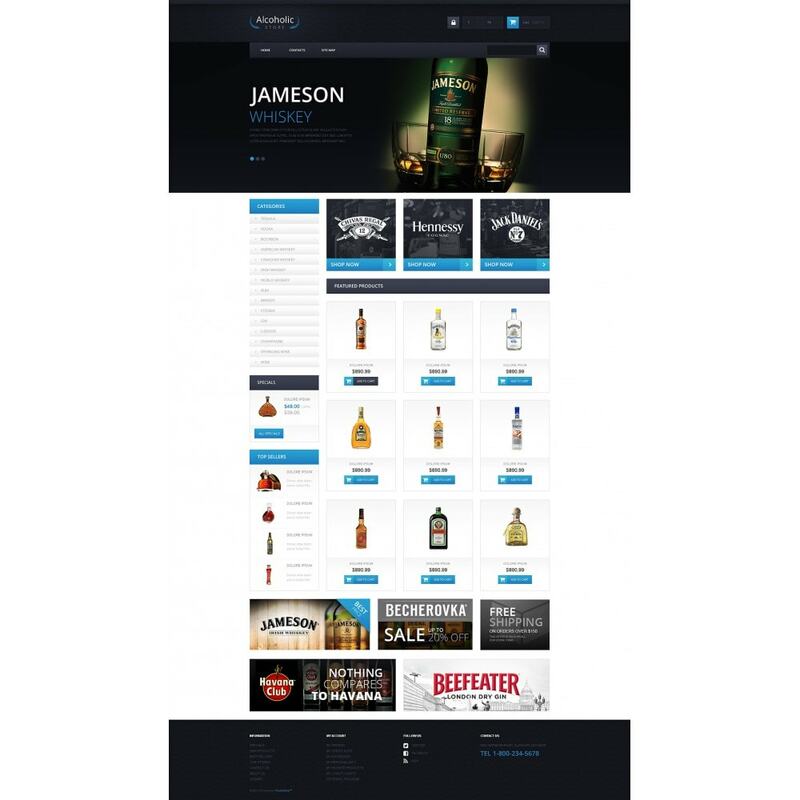 'Categories', 'Specials' and 'Top sellers' blocks are available in the left sidebar for customers' convenience. 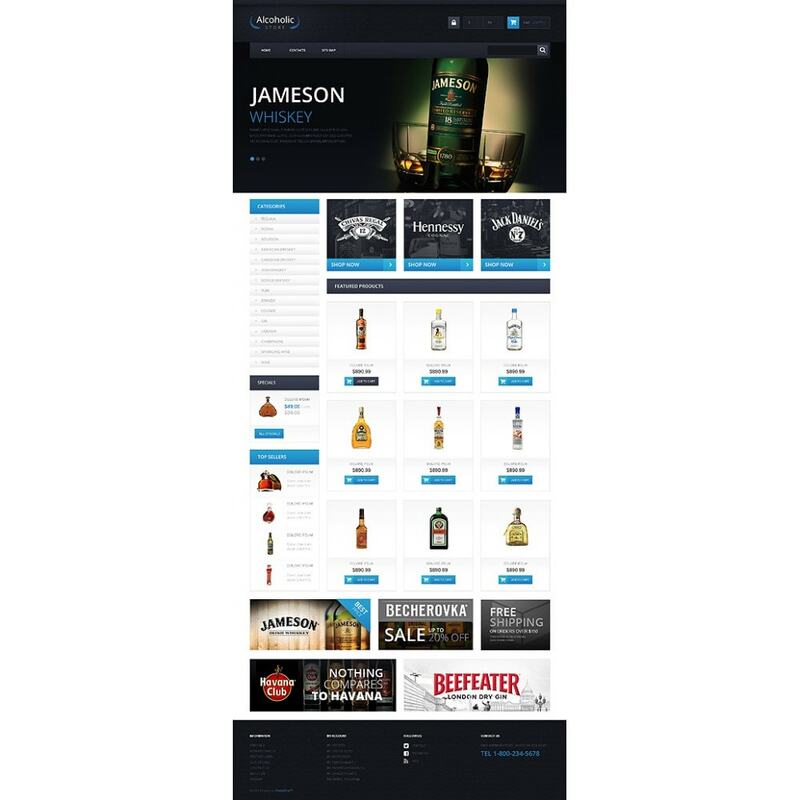 Featured products are offered in three columns. 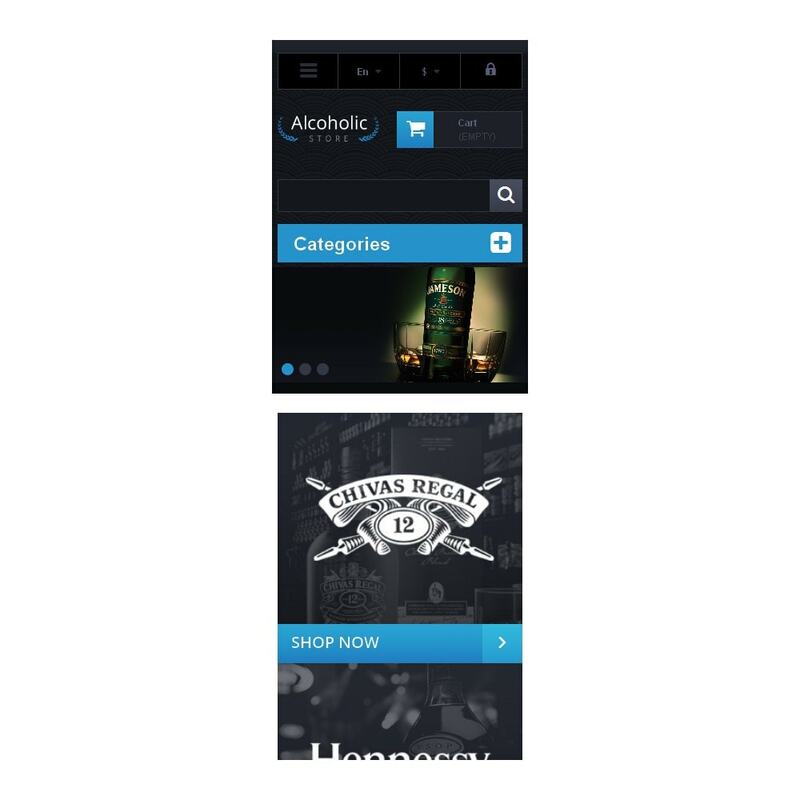 Contacts and social media icons are presented in the footer. This theme will make your store profitable, just make a click. 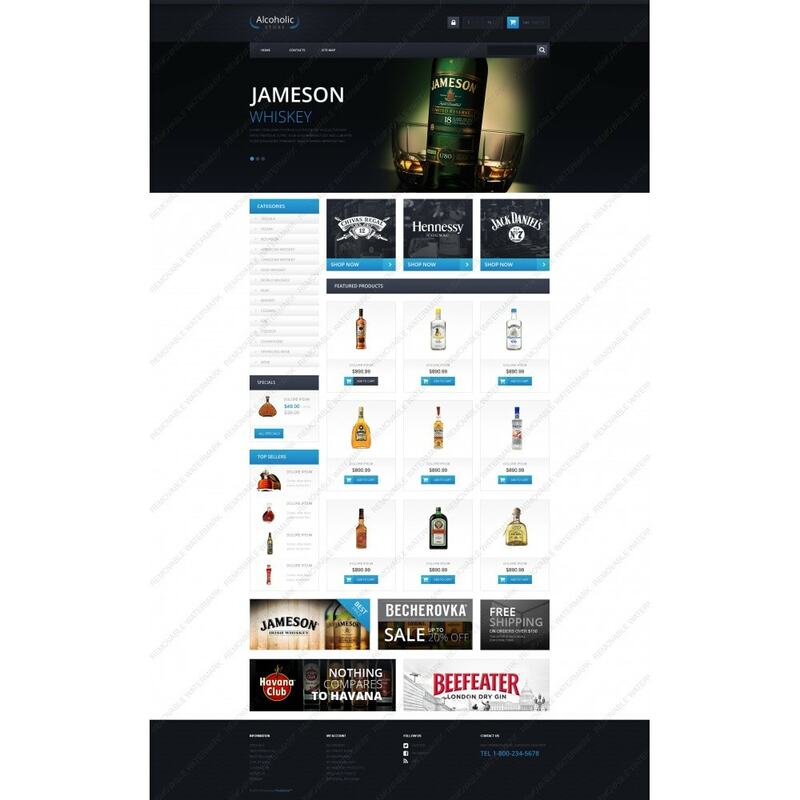 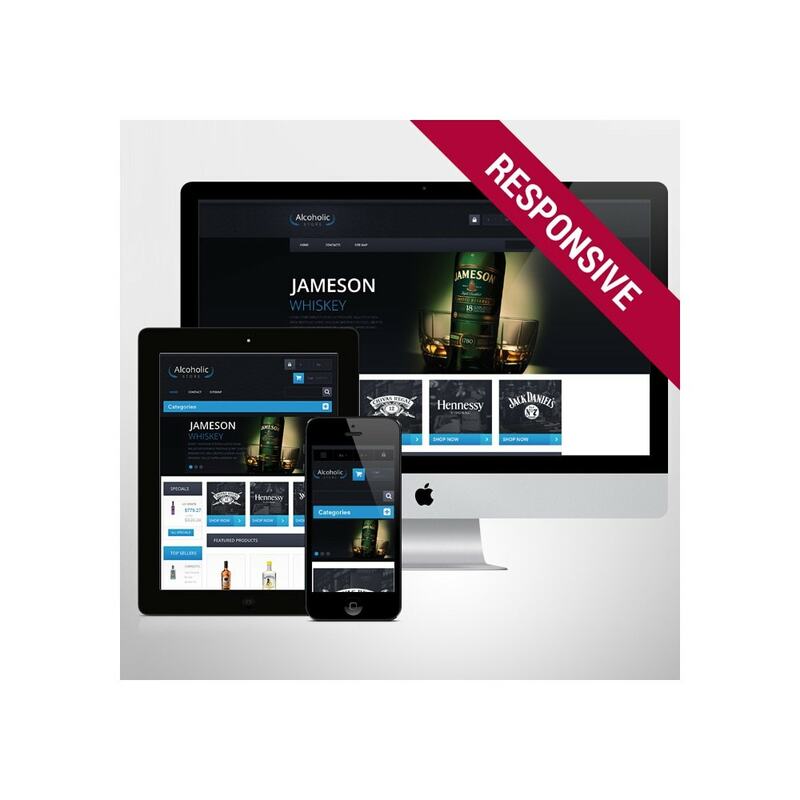 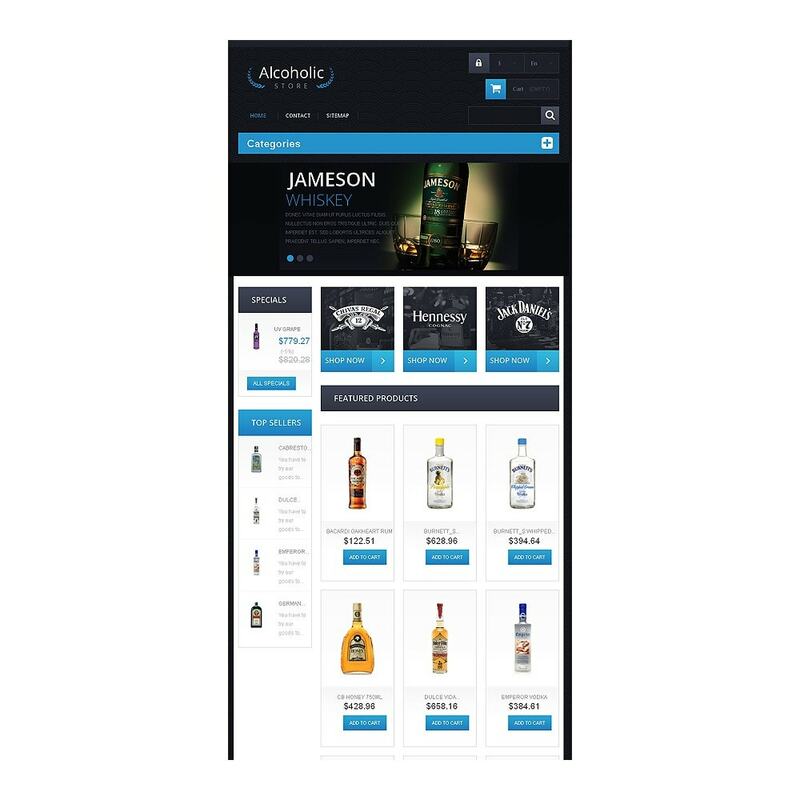 The design was created for online alcoholic beverage stores.